We were all out enjoying our day when those Farm cats invaded our space AGAIN! Sherpa the Farm cat is on the big stump. What does he think he is doing there? Bold as brass that Farm cat! Do you hear something Sherpa? Perhaps the thundering of hooves? 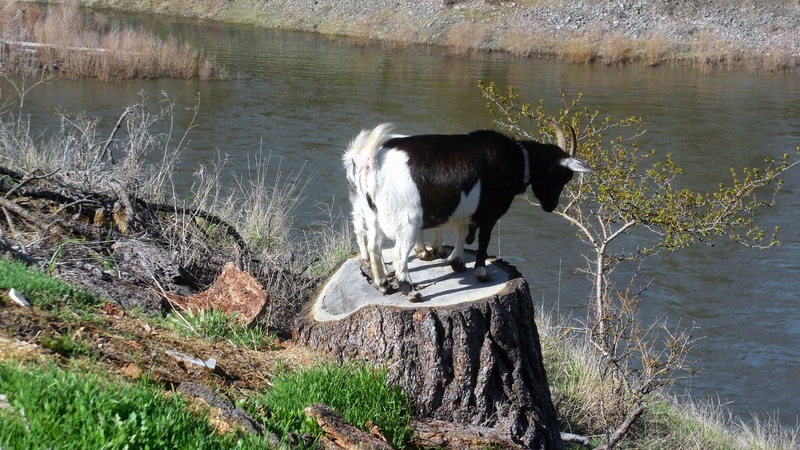 Louise the goat wants to be on the stump now. And she is much bigger than you are! You had better run Sherpa! Now all is right in the goat world.